From the beginning of my career in Real Estate in 1997 until now I have worked with land, new construction sales and condominium projects. My first ever Real Estate sale was a 23 lot single family new construction project I sold from a developer to a builder in Duval. Since 1997 I have personally sold over 200 single family lots throughout the Puget Sound region. During this time I was actively involved with the sale of many single family lots to builders and often represented them in the sale of the new homes. From about 2005-2009 I was involved with the development and sale of at least 6 condominium projects within the Puget Sound region, with an emphasis on the Eastside. Since 2015 I have been involved with a number of new construction properties including 2 new homes in the Houghton area of Kirkland built by Chaffey Building Group for $1,898,000 and $2,100,000. Summer of 2017 I was chosen to co-list a one of kind11 unit new condo project in Alki West Seattle by the name of The Pinnacle At Alki. If you are looking for assistance on your next project, don't hesitate to reach out. Experience 200-degrees of spectacular vistas of the skyline, Elliott Bay and Olympic Mountains. Discover just eleven condominium estates now under construction offering one and three bedroom homes ranging from 885 to 2,128 square feet with outdoor living spaces. Enjoy floor-to-ceiling windows, northwest contemporary design, uncompromising quality, and a matchless bayside location just moments from the port of the West Seattle Water Taxi offering convenient access to all that downtown Seattle offers. The area’s attractions include sandy, saltwater beaches along the Elliott Bay and Puget Sound shoreline and a boardwalk where rollerbladers and bicyclists cruise by pop-up eateries and quirky, chic shops. 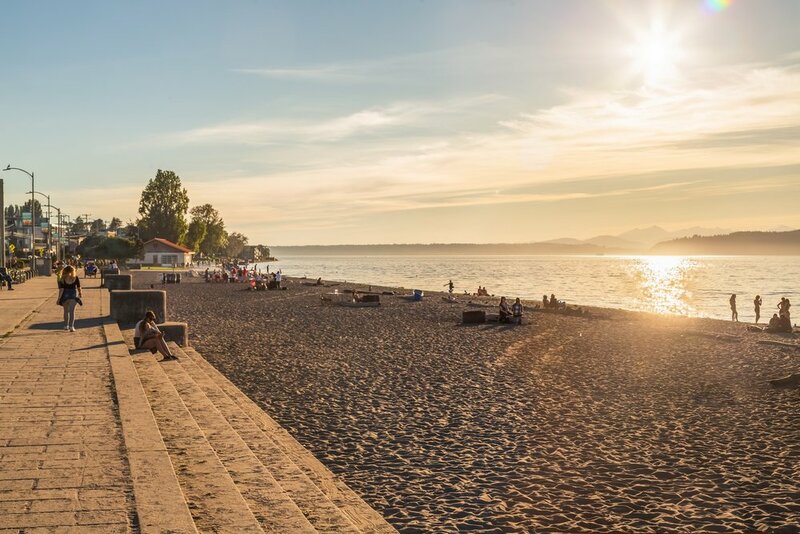 Residents frequent the Water Taxi, whether they’re relaxing on their commute to the city or watching the sun slip beneath the city and the Puget Sound Alki is the spot to be.